A plastic headset that zaps a nerve behind the ear could help struggling dieters lose weight. 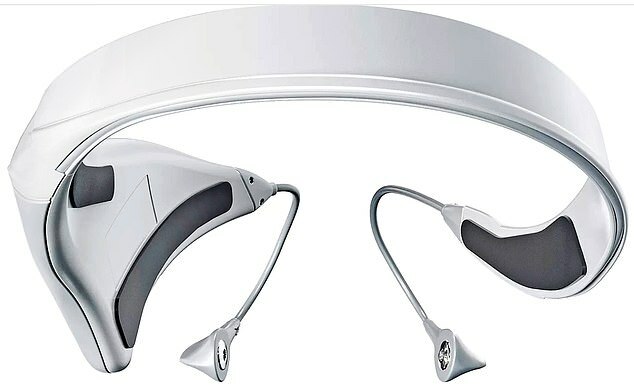 The gadget, called Modius, works by stimulating the vestibular nerve, which normally controls hearing and balance. Some studies suggest zapping this nerve also tricks a part of the brain called the hypothalamus into thinking the body’s energy needs are fulfilled and there is no need to take on more calories. Now a trial is under way at the University of Ulster to see if wearing the £350 device for an hour a day can help volunteers to slim. Half the recruits will use the Modius headset, the rest a dummy device that looks identical. Doctors will compare the numbers of men and women in the two groups who lose at least five per cent of their body weight in six to 12 months. 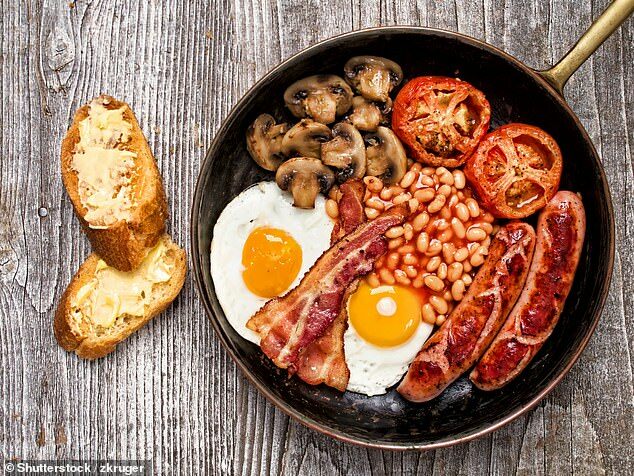 Men who enjoy too many fry-ups could be raising the risk of obesity in their children – before they become dads. Scientists from Oxford University say poor diet, too much alcohol, tobacco and stress damage a man’s sperm to the extent that it harms the metabolism of their children if they later become a parent. Animal studies show high-fat diets trigger changes in the expression of genes that control the way the body uses glucose and insulin. These changes can contribute to childhood obesity, which affects one in four children aged six to ten. ‘Evidence increasingly suggests paternal behaviour can cause alterations to sperm, with the potential to influence health of the offspring,’ researchers said. Scientists have developed a safer biopsy for prostate cancer. The current method, which involves passing a long needle through the bowel wall to reach the walnut-sized prostate gland, can allow bacteria in the bowel to get into the urinary system and bloodstream. Up to 12 per cent of men undergoing the test develop infection and for up to one in 50 of them it can be life-threatening. The new Cambridge Prostate Biopsy Device instead goes through the perineum – the area behind the testicles – bypassing the bowel completely. In pilot tests no infections were detected by doctors at Cambridge University Hospital NHS Trust. More than 1,000 patients with psychotic mental illnesses are waiting months for urgent treatment. Ten per cent of the 1,823 patients awaiting an initial NHS appointment have been delayed by at least three months. NHS guidelines state that psychosis should be ‘treated as soon as possible as early treatment is more effective’.